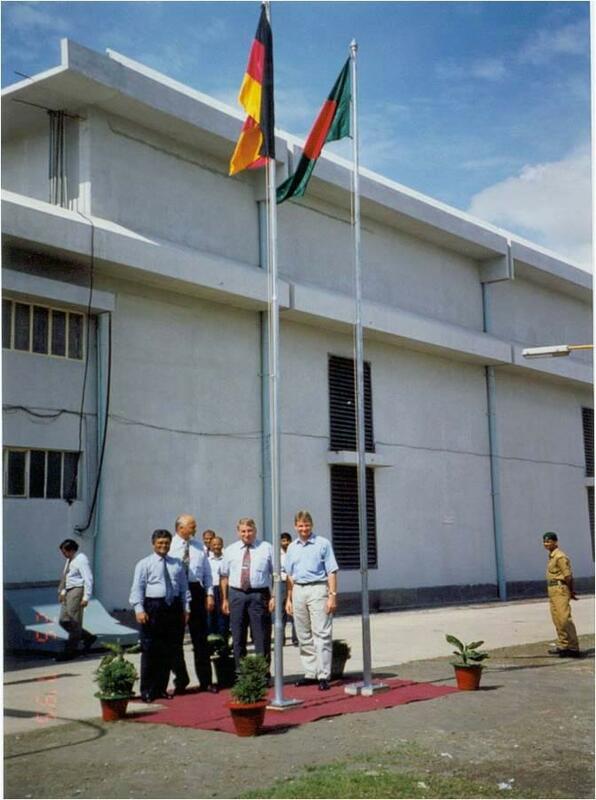 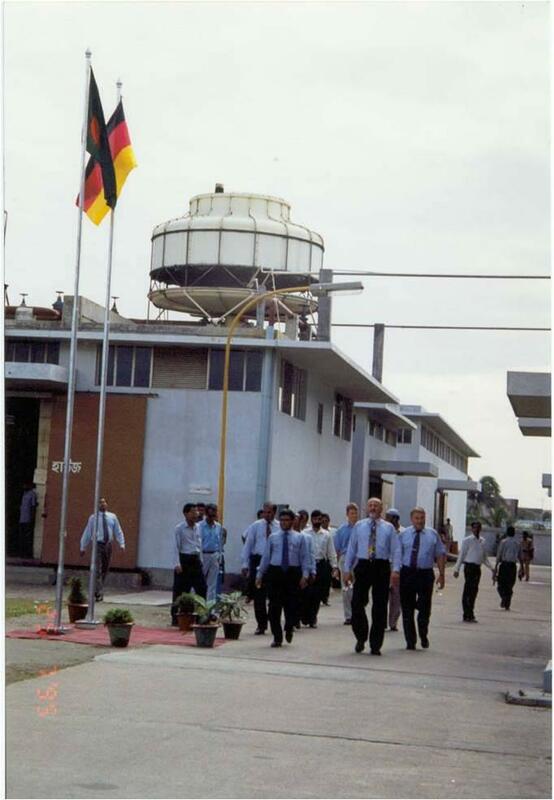 Chairman Prime Group is Seen with the Ambasador of Germany & Other Hoisting the National Flag of Bangladesh & Germany on the Opening Ceremony of The Mill. 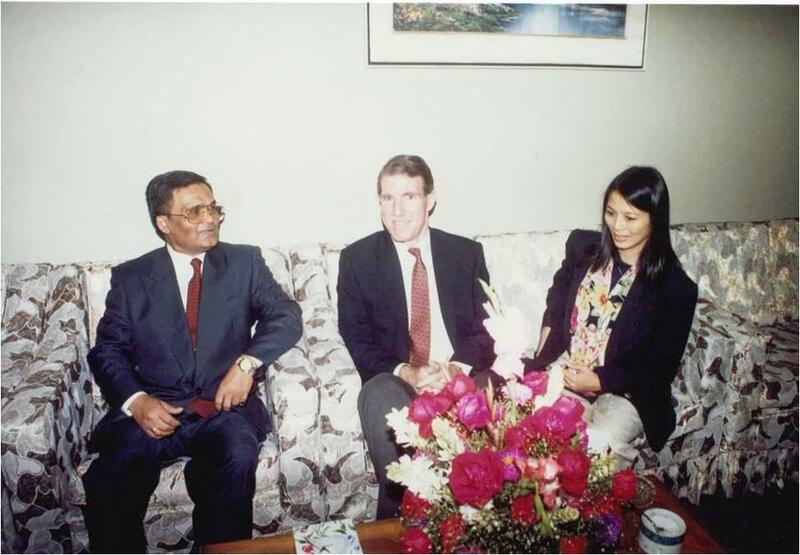 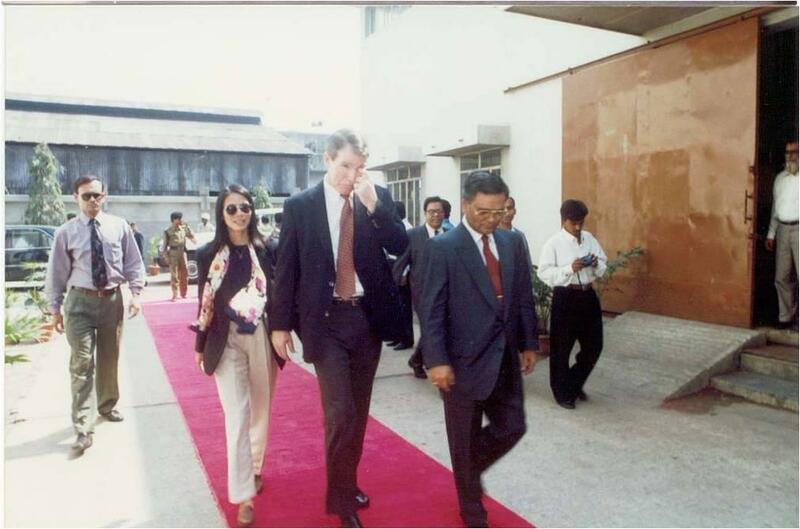 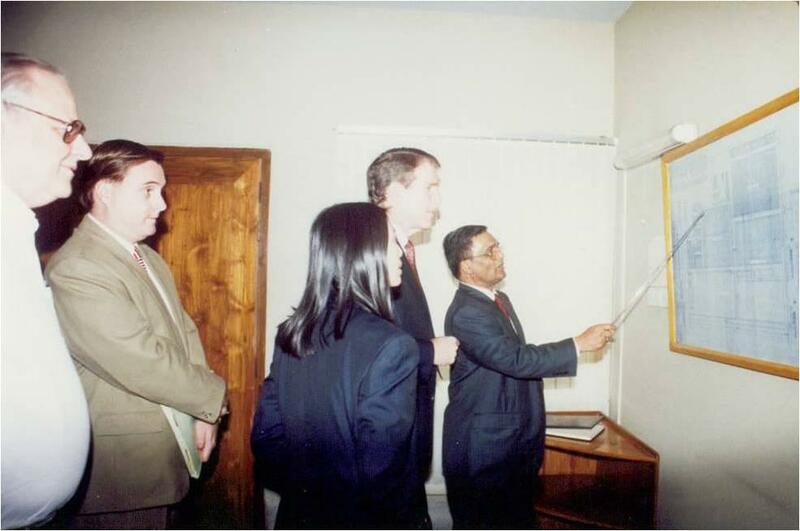 His Excelancy the Ambasador of USA was Received at the mill on 22nd February 1998. 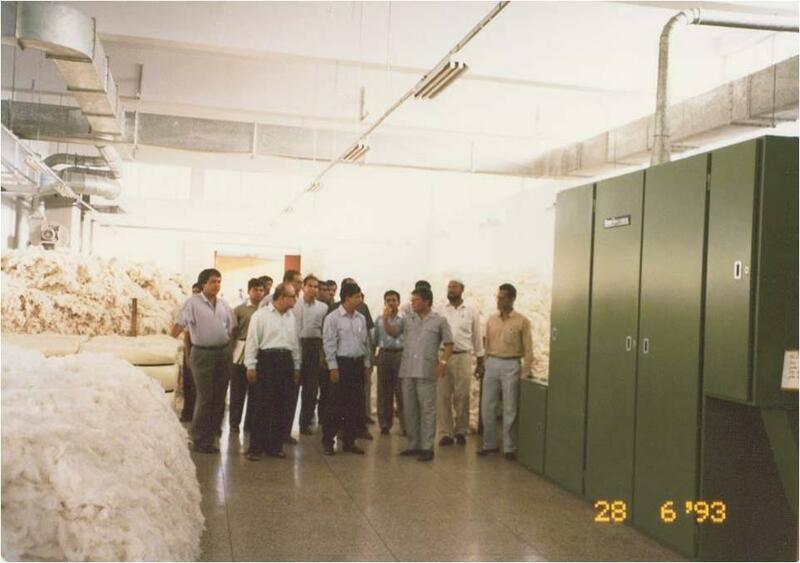 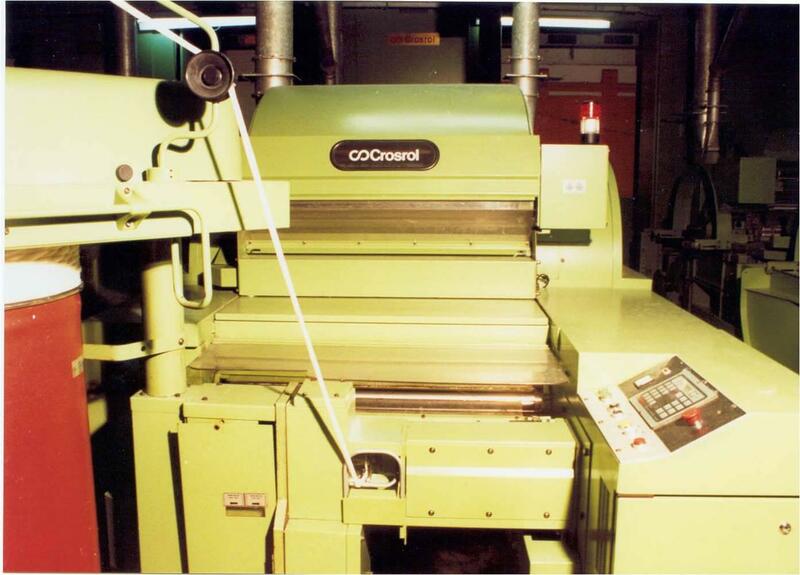 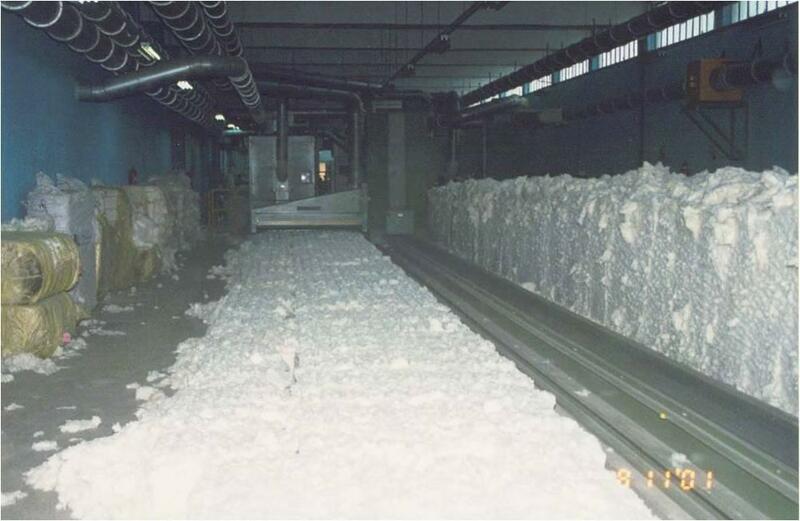 Raw cotton is being sorted at blow room to remov contamination. 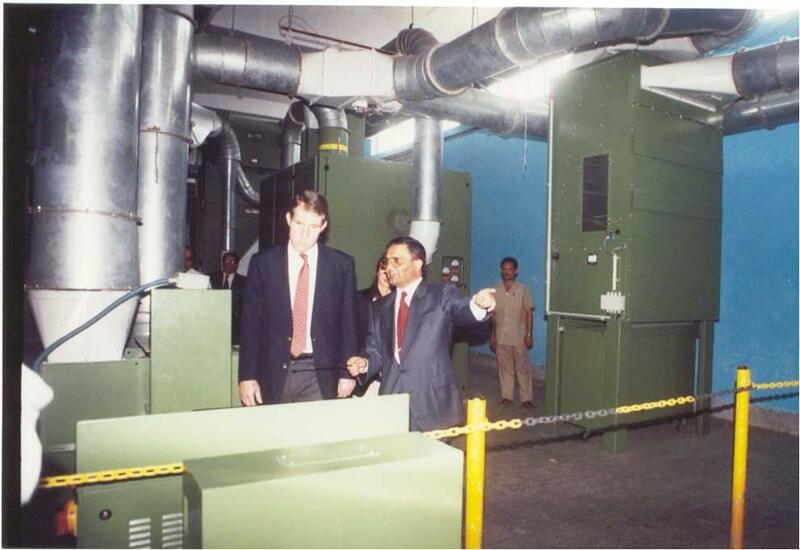 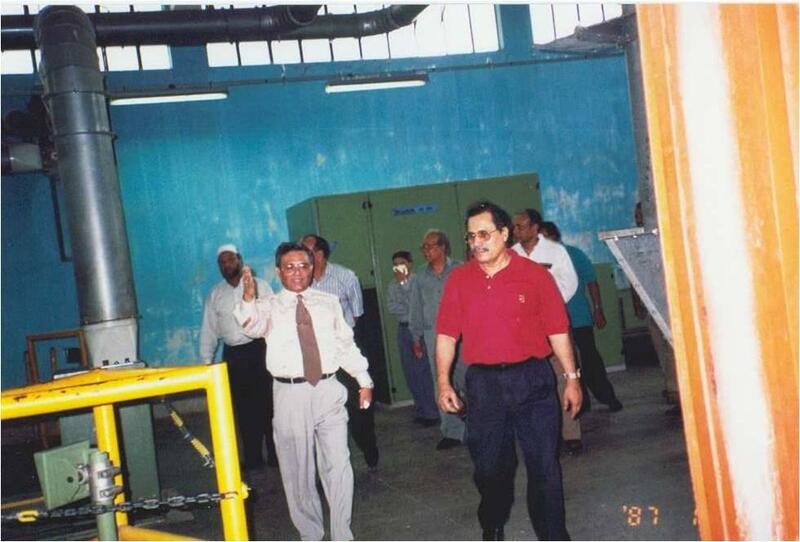 Chairman prime group is showing the operation of the mill to Ambasador of USA. 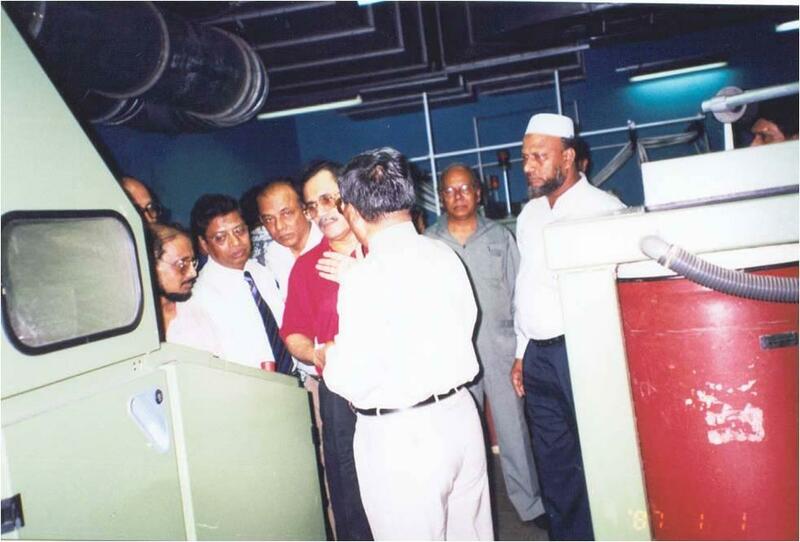 Chairman prime group is explaining the operation of card machine to M.D OF Janata Bank. 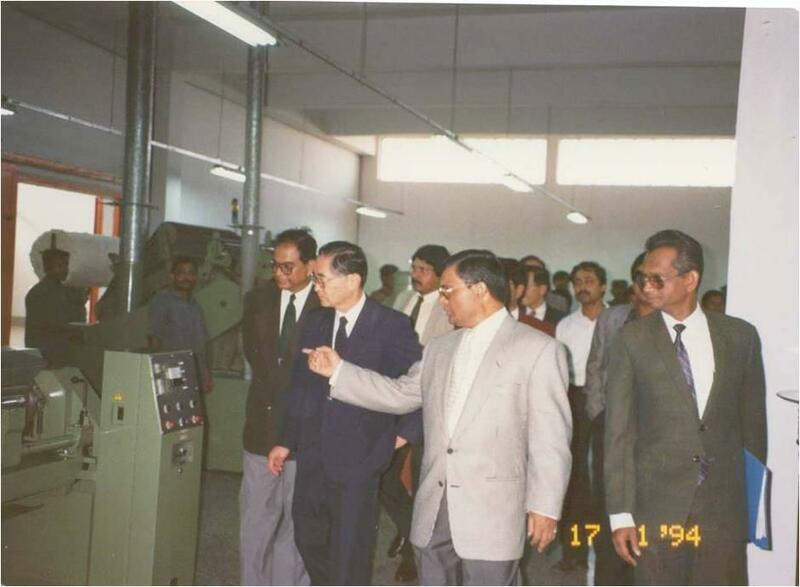 Chairman Prime Group and M.D Janata Bank.